Is it time to consider a contractor coach to grow your business? Do you run and own your business or does it run and own you? Are you busy working in your business or on your business? It was never supposed to be this way but somehow you arrived here. You started your own business to create wealth and independence for you and your family. You are great at your trade and you were doing just fine, until you had to hire others to help do the work and service the demanding, all- knowing homeowner. Seems like no one can do it as well or as fast as you, so you may as well do it yourself. Who can you trust to do it as well as you? Now you face challenges with cash flow, marketing, lead generation, sales, customer demands and balancing time for you and family. You're not as happy as when you started your company. Life was more manageable and simpler then. What happened? Did you know then, that running a business has little to do with being a great craftsman? You are frustrated by employee problems, losing money on jobs, not enough leads, losing numerous bids to low-ball contractors, consumers treating you as an unpaid consultant, expecting you to work for free, working 70-80 hours per week for peanuts, wife and kids complaining you are never there, restless nights and on and on.... if any of this sounds like your situation, consider teaming with a contractor business coach who is experienced in residential construction and running a business that services the homeowner market! The majority of contractors fail in the first five years due to lack of systems and business training on how to run a business! The Contractor Coaching Partnership coaches and mentors contractors servicing the residential homeowner construction market. We'll help you develop, train and implement marketing, sales, production and administrative processes that will become your systems so you can focus on the most important matters. We will help you establish goals and outcomes and hold you accountable. Reading industry related books, attending seminars, webinars, training sessions, or participating in trade organizations are great but they will have minimal effect unless you have the ability and desire to implement the knowledge you learn from them. Webster defines IMPLEMETATION as: "the power and authority necessary to accomplish or put into effect"
If you tried to fix it before and are still having the same issues, wearing all the hats, no time for you and family, insufficient leads and sales, shrinking margins and insane customer demands, don't wait until it is too late to get help. Your contractor coach is only a phone call away, contact us now for a no-obligation introductory contractor coaching consultation. I am writing this letter to thank you for the services and guidance you have provided to me over the course of the past year. Your expertise and knowledge in the field of Design-Build remodeling and construction has been invaluable to me. Your well-rounded approach to coaching is exactly what I had been seeking to help me navigate the early stages of developing my business and surviving challenging economic times. Being "chief cook and bottle washer" for my business, it is critical to get proper guidance in many areas, including sales, production, marketing, and establishing the systems and processes necessary to run a profitable business. You have been able to provide this for me, in a personal one to one format, which is extremely beneficial and far superior to impersonal over the phone coaching offered by many other business coaches. I would also like to express appreciation for not only coaching me on the "nuts and bolts" of the business, but also helping me to maintain the proper mindset and vision on a personal level that is so critical to success in any endeavor. "I have been a client of Mark’s for a number of years for the simple reason that he is a trusted confidant, shares expert knowledge and delivers each and every time. His expertise and contacts in the residential construction industry are unmatched and he adds tremendous value to whatever topic or business challenge you’re facing. 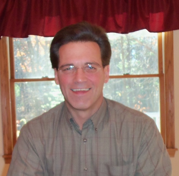 I highly recommend Mark as a business coach, consultant and career coach. You will realize the results you are looking for."